The American Revolution was a war of independence fought by legendary men who managed to defeat one of the greatest military forces of all time. History teachers lecture about George Washington’s victory in the Battle of Trenton in 1776, the incendiary Common Sense written by Thomas Paine, Benjamin Franklin’s diplomacy, or the naval victories of John Paul Jones. But they don’t discuss the macabre legacy each of these men left behind after they died. George Washington (1732-1799) is one of America’s Founding Fathers, was the Commander-in-Chief of the Continental Army during the American Revolution, and the first president of the United States of America. 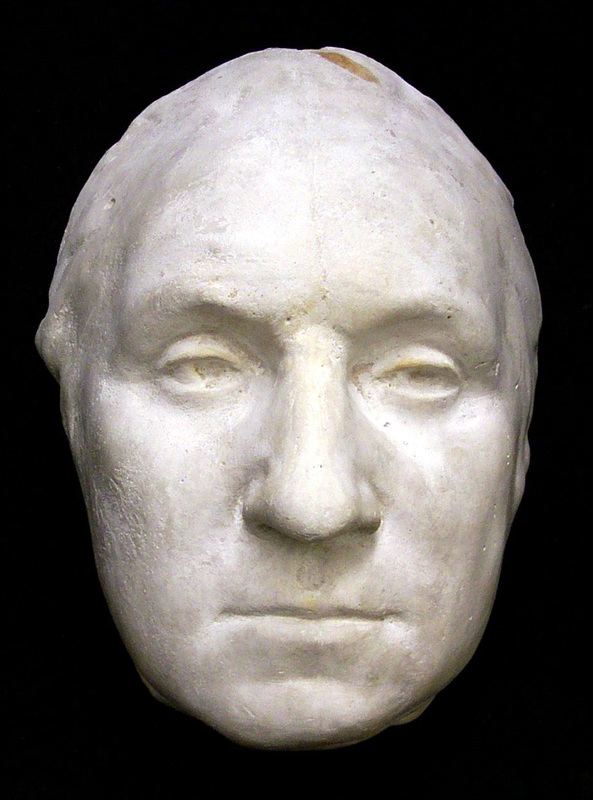 Washington served two terms as president from 1789-1797, after which he moved to his estate in Mt. Vernon, VA. He was only able to enjoy two years of retirement before he died on December 14th, 1799. In the hours after his death, some of the people close to Washington discussed reanimating his corpse because they couldn’t stand burying “the indispensible man.” The person most passionate about this idea was William Thornton, a close friend of Washington, a physician trained in European medical schools, and an amateur architect who designed the United States Capitol (Bleyer 2014, Thompson 2014). I proposed to attempt his restoration, in the following manner. First to thaw him in cold water, then to lay him in blankets, & by degrees & by friction to give him warmth, and to put into activity the minute blood vessels, at the same time to open a passage to the Lungs by the Trachaea, and to inflate them with air, to produce an artificial respiration, and to transfuse blood into him from a lamb. Though we don’t know if Martha Washington truly considered this a viable option, we do know it was never attempted. George Washington’s body lies in a marble sarcophagus in a brick tomb on his Mt. Vernon estate-hopefully to never come back to life. Thomas Paine (1737-1809) was political activist, philosopher, and author. One of his most famous works is Common Sense, a pamphlet distributed among the colonies that challenged the authority of the British monarchy and colonialism. This pamphlet was innovative because it outright called for independence from Great Britain and was written in plain English so that the public could easily understand it. This political work inspired patriots and made Paine a hero of the American Revolution. Later in life he became a political outcast because of public feuds with powerful men like Gouvenour Morris and George Washington. His book The Age of Reason, which is about God, deism and reason, made Paine a social pariah and created tension between him and religious communities because it attacked organized religion. Despite these attacks, Paine wanted to be buried in a Quaker cemetery, the Christian demonination of his birth. After his death on June 8th, 1809 his final request was not honored because no Quaker cemetery would take his body, so he was buried under a simple tombstone in his farm in New Rochelle, NY. Ten years later, William Cobbett (1763-1835), an English journalist and political adversary of Thomas Paine, exhumed his body because he felt a kinship to the deceased philosopher. He brought Paine’s bones back to England intending to give him a lavish funeral and build a mausoleum in his honor. Because Thomas Paine was not a popular figure in England at the time and the British newspapers accused Cobbett of being a Resurrection Man, or body snatcher, public support for a funeral for Thomas Paine dissipated (Lovejoy 2013). Cobbett put Paine’s bones in a trunk and shoved them in a corner of his house, where they remained forgotten until Cobbett’s death in 1835. Since Cobbett was in debt when he passed, his estate was auctioned off to pay his bills. But the auctioneer managing the estate refused to handle human remains and gave the trunk with Paine’s bones to one of Cobbett’s neighbors. The neighbor in turn gave the trunk to Ben Tilly, Cobbett’s former secretary. After Tilly, Paine’s bones are reported to have changed hands three times before disappearing from history (Lovejoy 2013). Thomas Paine’s brain surfaced in England in 1900 when the hardened tissue was purchased by Moncure Conway, an American Abolitionist determined to find Paine’s body. Conway brought the famous author’s brain back to America and buried it on the grounds of Paine’s farm in New Rochelle, NY (Lovejoy 2013). The “Citizen Paine Restoration Initiative” was started to recover Thomas Paine’s bones and bury them on the writer’s farm. Those efforts seem to be unsuccessful so far. There have been reports of his skull in a few places as far off as Australia, and a woman in Brighton, England claimed to have his mandible (jaw bone) (Lovejoy 2013). Benjamin Franklin ca 1767, when he would have been living at the Craven Street House. Image Credit: Wikipedia. Benjamin Franklin (1706-1790) was one of the Founding Fathers, the first American diplomat, an author and printer, a political theorist, and scientist. He served as French diplomat from 1776 to 1778 and his job was to gain French financial support for American independence. As an author, he is best known for Poor Richard’s Almanack, a book consisting of proverbs. As a scientist, he is renowned for his work on electricity. He facilitated many civic organizations, including Philadelphia’s fire department and a university. Before the American Revolution, Benjamin Franklin lived in London between 1757 to 1775. Franklin, who considered himself an Englishman for most of his life, was in England as an agent to Parliament for the Pennsylvania Assembly. His home during this period was at 36 Craven Street. Franklin didn’t consider himself a revolutionary until 1775, when he was called before the Privy Council and humiliated. When he returned to Philadelphia in May of 1775 the American Revolution was well on its way. In 1998, construction workers doing repair work in the basement at 36 Craven Street found more than 1200 pieces of bone (human and nonhuman) in a pit that was one meter wide and one meter deep. Though these bones dated to Franklin’s occupation, he wasn’t a crazed mass murderer (Schultz 2013). It turns out the human bones (some pictured here) were the remnants of a clandestine anatomy school run by William Hewson, a close friend of Franklin and son-in-law to his landlady. Prior to The Anatomy Act of 1832, it was illegal for teachers, medical students, and doctors to dissect donated bodies, so dissection and disposal of human remains had to be done in secret. When Hewson was done with the bodies he buried the bones in the basement, rather than discard them outside of the house and risk getting caught (Schultz 2013). A forensic investigation found that the bones belonged more than 15 people. The bones had dissection marks made by surgical instruments and the skulls had marks made by a trepanning device (Schultz 2013). Admiral John Paul Jones (1747-1792) was a legendary Scottish seaman and war hero who fought in the American Revolution and is considered a founder of the United States Navy. He inflicted significant damage to British forces along the coast of Nova Scotia, and led raids on the British along the coasts of Ireland and England. On July 18, 1792 John Paul Jones died in his Paris apartment. Gouverneur Morris, the American ambassador to France at the time, had an intense dislike for Jones and refused to pay for his burial. Luckily Jones had an admirer in Pierrot Francois Simmoneau, who donated the money for his funeral expenses. Jones was buried in the Protestant section of the Saint Louis Cemetery because of his Scottish Calvinist background. His body was preserved in alcohol and interred in a lead coffin, which was in turn placed in a wooden coffin, so that his body would be preserved and easily identified when the U.S. claimed Jones’ remains. But four years later France’s revolutionary government sold the cemetery property and soon the cemetery and all of its graves were forgotten (Lovejoy 2013). The team discovered the site of Saint Louis Cemetery’s Protestant section and unearthed Jones’ lead coffin in 1905. On April 7, 1905, Jones’ remains were positively identified during a post-mortem examination. The research team determined that the mummified body belonged to a man who was between 40 and 50 years old, and was about 5’7″ inches tall, all of which was consistent with Jones at the time of his death Grant 2012). The body was clothed in a linen shirt, and his long brown hair, about 30 inches long, was covered in a linen cap that was monogrammed with the letters “J” and “P.” Jones’s body was immediately transported back to the U.S. aboard the USS Brooklyn (Grant 2012). On April 24, 1906, Jones’s coffin was installed at the United States Naval Academy in Annapolis, MD. On January 26, 1913, the Admiral’s remains were re-interred in an ornate bronze and marble sarcophagus in the Naval Academy Chapel (Morris 1996). Lovejoy, B. (2013). Rest in Pieces: The curious fates of famous corpses. New York, NY: Simon & Schuster.